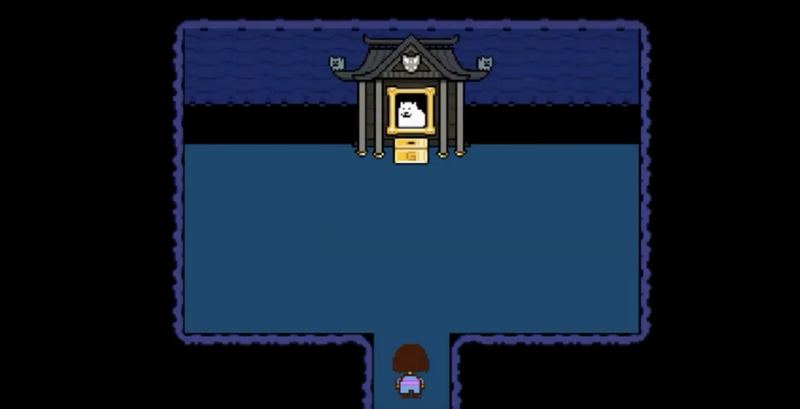 In the PS4 release of Undertale, there is a new area that you can visit: the Dog Shrine. Screenshot taken from Tealgamemaster’s video, where he finds the shrine. In the PS4 release of Undertale, there is a new area that you can visit: the Dog Shrine. This shrine is buried at the back of Papyrus and Sans’ kitchen. The Dog Shrine is necessary to unlock 15 separate trophies, which you can unlock by donating different amounts of gold—one piece at a time—to the shrine.